Vale’s terminal in Oman. Photo by Vale. Brazil’s mining giant Vale (NYSE:VALE), the world's No.1 iron ore and nickel producer, signed a four-year contract with Emirates Steel, the largest steel producer in the United Arab Emirates, to supply iron ore pellets for the Arabian company’s steel production in Abu Dhabi. Such production requires inputs of around 6 million tonnes of iron ore pellets per year, which Vale can easily supply thanks to the plants the company owns both in its home country and in Oman. “The agreement with Vale comes in line with Emirates Steel strategy, which aims to secure flexible source of iron ore at competitive, stable and long-term prices,” said Saeed Ghumran Al Remeithi, CEO of Emirates Steel, in a media statement. “This new partnership plays a vital role to further strengthening the growth of our steel production in Abu Dhabi, as well as realizing our vision of being a world class steel manufacturer,” he added. Emirates Steel, which belongs to the state-owned, umbrella firm Senaat, started a relationship with Vale back in 2007, given that it was carrying out $3 billion expansion. The goal of that expansion was to be able to start producing at a capacity of 3.5 million MTPA, something that would require a massive input that Vale, who generates 366 million tonnes of iron ore per year, was certainly able to provide. “The long-term agreement resembles the two companies visions combined in a long-term partnership. Also shows Vale’s strong willingness to support the Middle East steel making industry through leveraging on competitiveness, productivity, and performance with high-quality products,” Peter Poppinga, Vale’s Executive Director, said in the media brief. 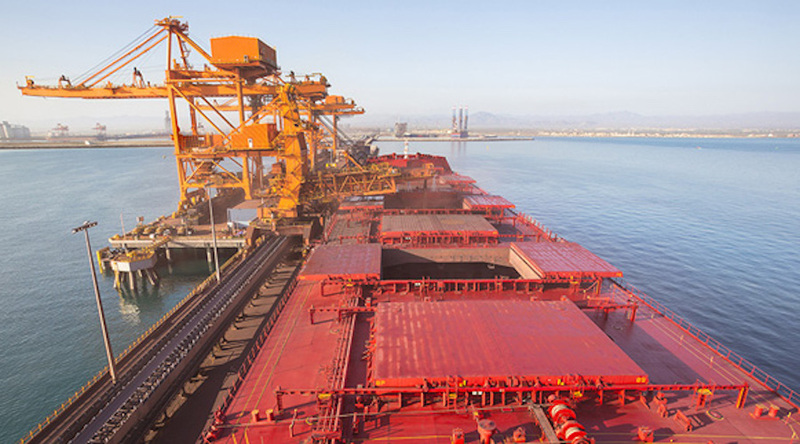 Besides securing demand from the UAE, Vale is also convinced that its sales to China will continue to rise, helping the company keep prices for its highest quality ore above $90 per tonne in 2019 and for average quality ore at around $60 to $70 per tonne.